What is PPC? How to take care of it? What are the advantages of using it? Do we need to hire an expert to run or in-house team is sufficient? A lot goes in PPC. From building award-winning campaign, searching right keyword, organize keywords, setting landing page etc. There still exist lot more work! Pay-Per-Click (PPC) management is the process of managing a company’s PPC/Search engine marketing ad. This strategy minimizes the overall expenditure and can be performed by a vendor, e-merchant or a professional hired to manage PPC buys on the client’s behalf. PPC management is still considered to be an evolving art where perfect optimization is not possible but objectives are maintained. How does Binary IT assist in PPC Management? Every day billions of people are taking help of search engine to search best possible answers to every question. PPC management pulls your business upward by ranking your website on top position so that new customers are pulled in to your site immediately. Brand Terms: We make sure to include the Brand name and trademark term on the website or blog content. Generic Terms: Terms related to e-commerce keywords or service is to be included. Related Terms: Terms which are not directly related to the products you are selling but is somewhat related to the terms searched by the viewers. Competitor Terms: Include brand names of competitors offering similar products. Look out for the audience need that would divert them to click on the ad. Highlight the keyword which are mostly sought. Create proper landing pages which is related with the ad. Make sure you are a part of a knit ad group. While writing an ad understand the keyword taxonomy and write effective ad text to boost your PPC click. Creation of landing page denotes your action. We create landing pages which will be exactly what your visitors are seeking for? We will make sure they get the right information they have searched for. You must also limit the navigation to keep your visitors focused on the landing page. We make sure to un-clutter your page and place value on white spaces. We also optimize the barrier for your landing pages and coherently put the elements and design for the landing pages properly. We will help you to create an account in Google Adwords. If you are looking forward to bringing in new website visitors, incline your online sales, keep your customers inflow moderate then Google Adwords is the best. This allows you to advertise globally and locally as they google will profusely crawl your site if people are searching for the information which are present in your site. The next thing we do is analytics and tracking. We go through account manager to make use of analytics program in order to monitor site’s performance. We link the Google AdWords with Google Analytics to make sure that all the tracking is in its place and is working correctly. Making use of all available tracking tools allows to manage the account properly without any kind of hinderance. Once we have created ad, we make sure to launch it. We make sure to create new campaign and manage it regularly so that they are continuous and effective in nature. We make sure to continuously analyse the performance by adding PPC keyword, negative keywords, split ad groups, review costly keywords and refine landing pages. With this we make sure to launch effective campaign. As PPC brings targeted and quality traffic to your website we make sure to examine the performance of the created ads and campaign on a frequent basis. We make sure to define your goal, we focus on high performing keywords, filter out low performing keyword, create a negative keyword list, optimize your keyword bids, create compelling PPC ads, put in ad extensions, make ad specific landing page and conduct A/B testing PPC elements. We make sure to audit every launched campaign. As we are aware of the fact that PPC ads are the backbone of every search engine we make sure to assess the launched campaign on a frequent and regular basis. We make sure the launched campaigns are well-structured. A dis-organized campaign highly wrecks the chances of getting good inflow of traffics. We make sure the campaigns are logical, clear and are set up in the best possible manner. We look at the campaign and ad group setting, keyword organization, ad copy, landing pages, Google AdWords account and many more. Binary IT aims in delivering best PPC service to its clients. We make sure to find out iconic methods and innovative campaigns which outstands your business and service in today’s competitive market. 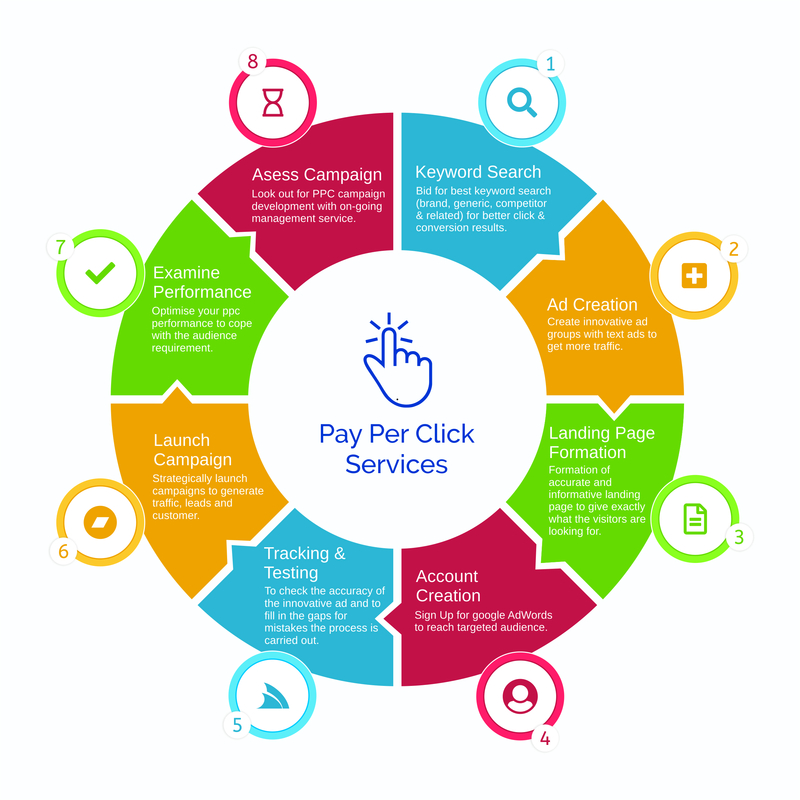 To avail the PPC service from Binary IT kindly contact us! Constantly review and track website to ensure flow of traffic via Google Adwards. Target geographic location as per client’s requirement. Determine and allocate budget for PPC management. Identify relevant keywords and their approximate cost per click. Assign an Ad specialist to look after your campaign. Get hold of most searched keywords for your business. Keep a close watch on competitors. Create, Monitor and optimize your Ad. Report and Communicate with your agency. Take full charge of the paid ad campaign. Offer reasonable and affordable plans suitable for every business. Contact us to get hold of our services and queries! !